Barrie is an Associate within our Wills, Trusts & Powers of Attorney Team specialising in Wills, Trusts, Probate and Lasting Powers of Attorney. Barrie has been advising on Wills, Estates, Powers of Attorney and related matters for almost 30 years, having joined the Trustee Department of Aviva (then Norwich Union) in 1988. This included travelling the length and breadth of the country, promoting the Wills service to staff members in the branch network, and visiting bereaved families to assist with Estate adminstrations. Prior to that, Barrie worked in the Mortgage Team at Aviva. Barrie joined Cole & Co Solicitors in 1999 and handled their Private Client work until 2013, when Cole & Co was incorporated into Leathes Prior. Since then, Barrie has been a member of the Wills, Estates & Powers of Attorney Team here and was promoted to Associate in May 2016. 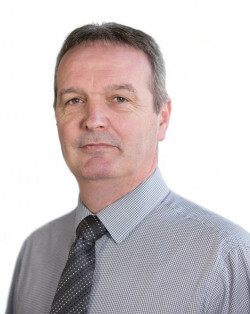 Outside of work, Barrie is married with two children, enjoys walking breaks and cruise holidays and most sports particularly golf and football.